Today, information technology departments are largely reactive — called to fix problems after they happen. But the Tysons startup TaskFit.io has developed artificial intelligence tech that, if it catches on, could supplement if not replace the help desk entirely. TaskFit.io is an IT automation software platform that can be installed onto a laptop, server, or edge device (like routers) to gather metrics on that device and help fix it when an issue occurs. TaskFit.io’s AI programs are constantly collecting data as the system is running and adapting to meet problems that come up. Problems can be identified and remedied before the user even recognizes that one exists. Marcinowski said that for many companies, IT is outsourced. This can work for a smaller company just getting started, but Macinowski said problem comes when the companies start to expand and starts to outgrow their IT service. “There’s a number you can point to [in each business], where if they bring on X amount of customers, they need X amount of people supporting those activities,” said Marcinowski. 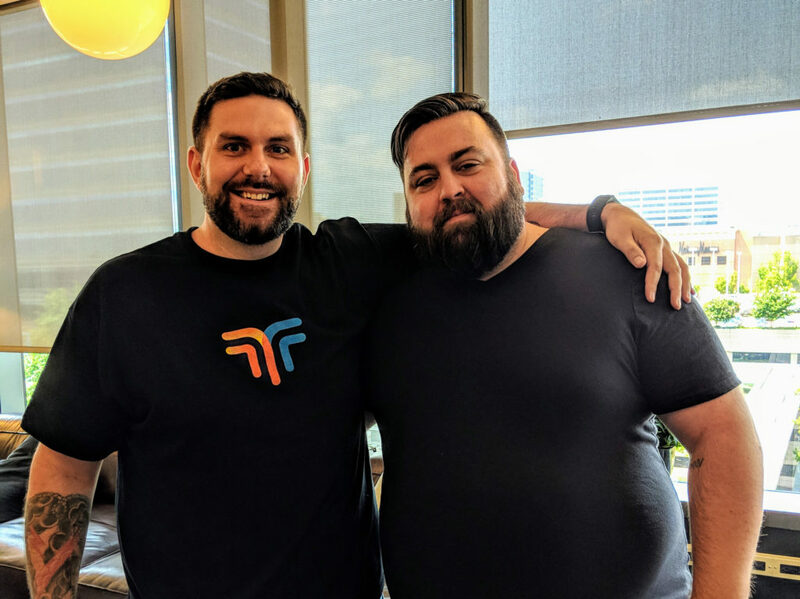 TaskFit.io is currently a small company, based in the Tysons WeWork coworking space. Marcinowski and co-founder Peter Fraedrich run the technical side of the company, along with two advisors and three or four contractors. Two started in April with $90,000 of the two founders’ own money. The company has $40,000 in recurring annual revenue, according to Marcinowski, who hopes to push that to $100,000 by the end of the year. Currently, TaskFit.io has three paying customers and four pilot projects. The pilot projects are unpaid but allow the company to gain insights into the program working in action and allow them to continue developing abilities. Like many startups, TaskFit.io has pivoted its focus over time. Early on, Marcinowski says they were originally interested in competing with Google and Amazon to create the first real-time machine learning platform. That evolved into the company’s current platform, but even then product development has been an iterative process of shifting priorities and tough decisions. According to Marcinowski, what managers said they really wanted was a tech tool to help them figure out what their employees were doing. While this could have been a profitable avenue, it didn’t fit with the founders’ vision for the company. Poll: What Kind of Stories Would You Like Tysons Reporter to Cover?